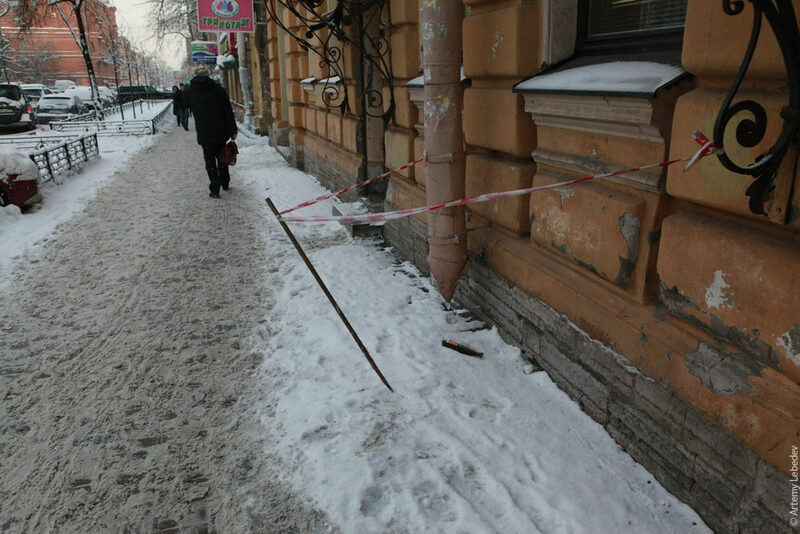 В Питере снова наступила зима. И снова город оказался не готов. Как в прошлый раз (см. февральский отчет) все было в сугробах и сосулях, так и сейчас. Опасные места отмечены маркерами повышенной эстетичности. 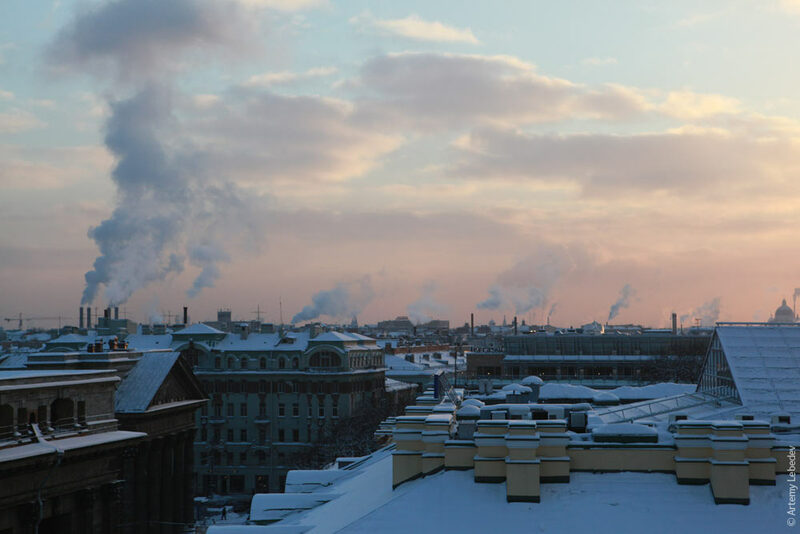 It’s winter once again in Saint Petersburg. And once again the city is completely unprepared. Just like last time, everything is covered with ices and piles of snow (see the February report). Great care has been put into the aesthetic parameters of the markers indicating dangerous areas. Сосульки ужасающего размера свидетельствуют о том, что чердаки теплоизолированы неправильно. The icicles of terrifying size signify that attics have improper thermal insulation. В жалкой попытке обратить внимание людей на опасность стены украшают бумажками «опасная зона». In a pathetic attempt to alert people to the danger, walls are bedecked with “Danger Zone” flyers. 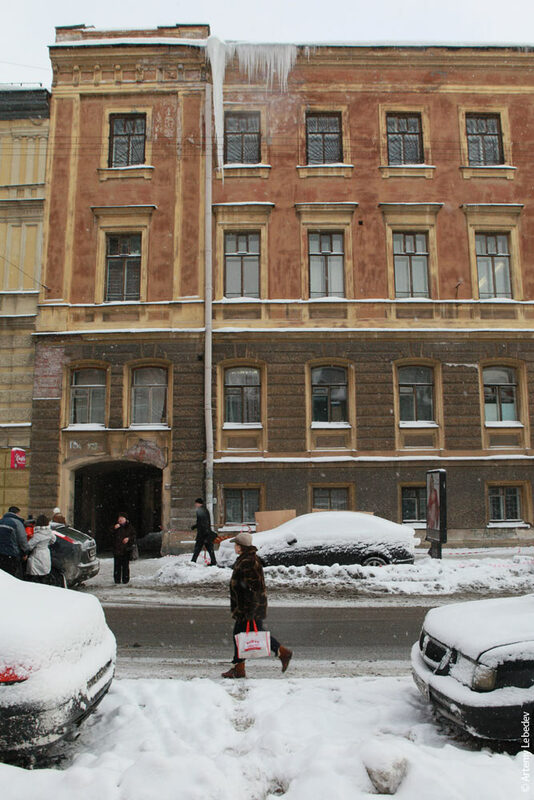 Administration of Saint Petersburg. Committee on Youth Policy and Cooperation with Public Organizations. Danger Zone. Но в Питере еще мнооого снега. 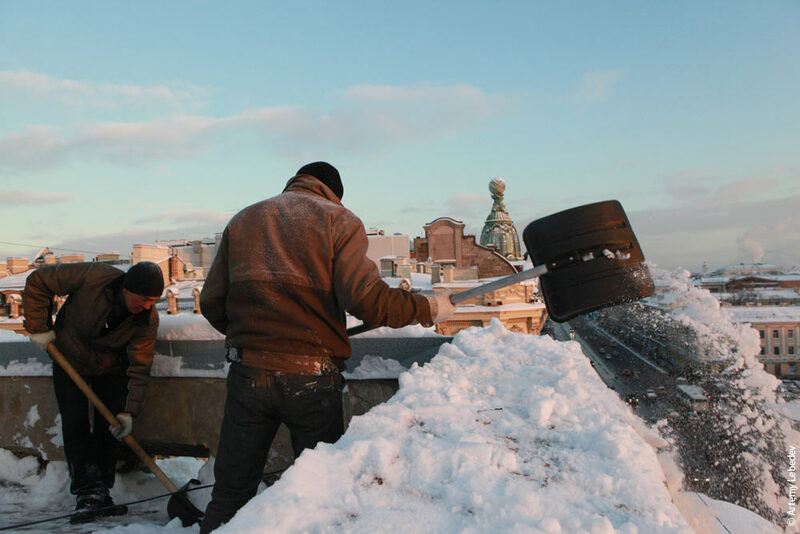 But there is still a loooot of snow in Saint Petersburg. People clear it off as much as they can. They throw it down from the rooftops by the ton. Но сосульки продолжают падать и сбивать буквы и людей. But icicles continue to fall and knock down letters and people. 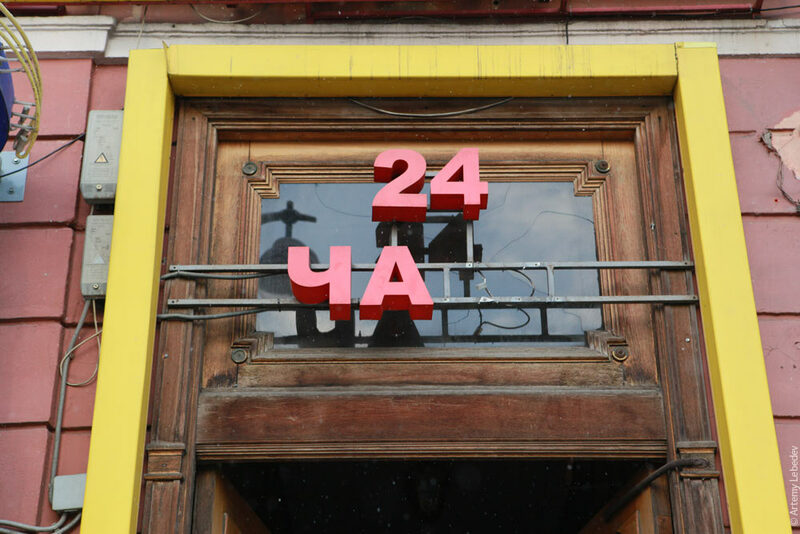 The new ruble sign and chick (which is how they say “chicken” in Saint Petersburg). Special (weekdays 11:00 to 17:00). 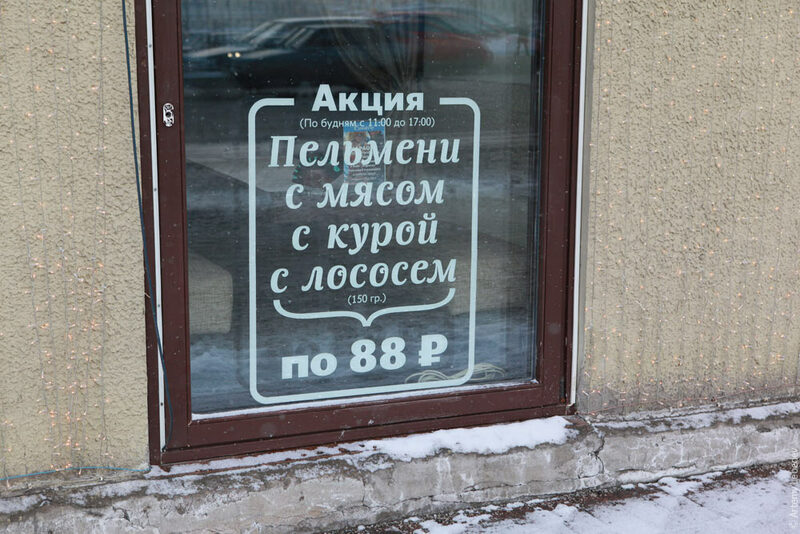 Pelmeni with meat, with chick, with salmon (150 g) for 88 rub. Таксофоны украсили новыми полубудками вместо страшных пластиковых старых. 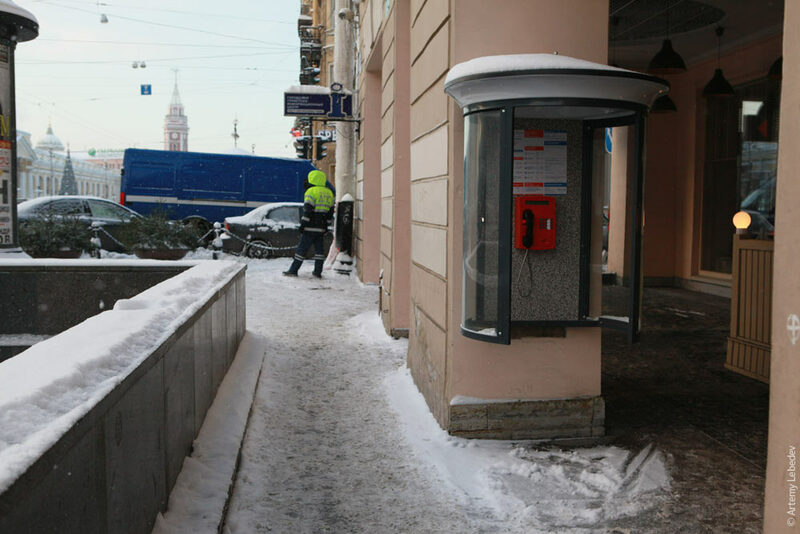 Payphones have been beautified with new half-booths to replace the ugly old plastic ones. На стенах появились новые уличные указатели. Совершенно непонятно, чем мешали старые (см. 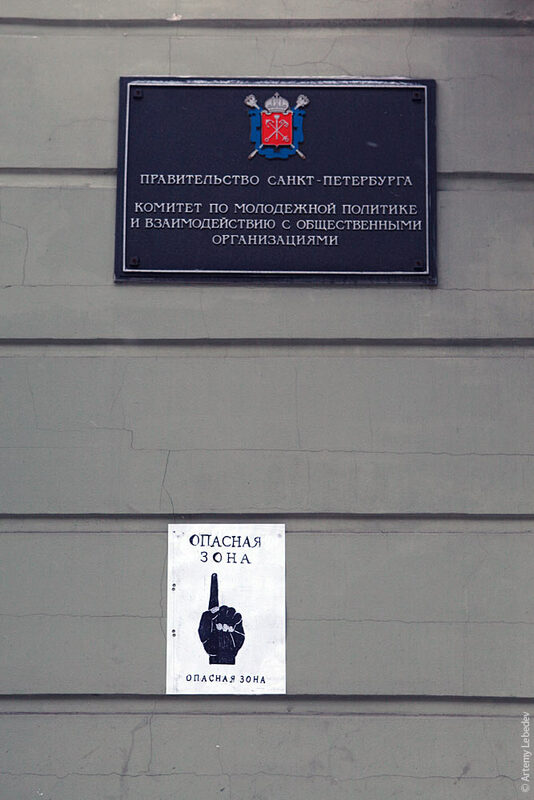 Питер в декабре 2007 или Казань). Новые — без подсветки, дешевые и с обязательным новым питерским мотивом — как бы закрученным бумажным свитком. Символизирует историю и царский указ. New street signs have appeared on the buildings. 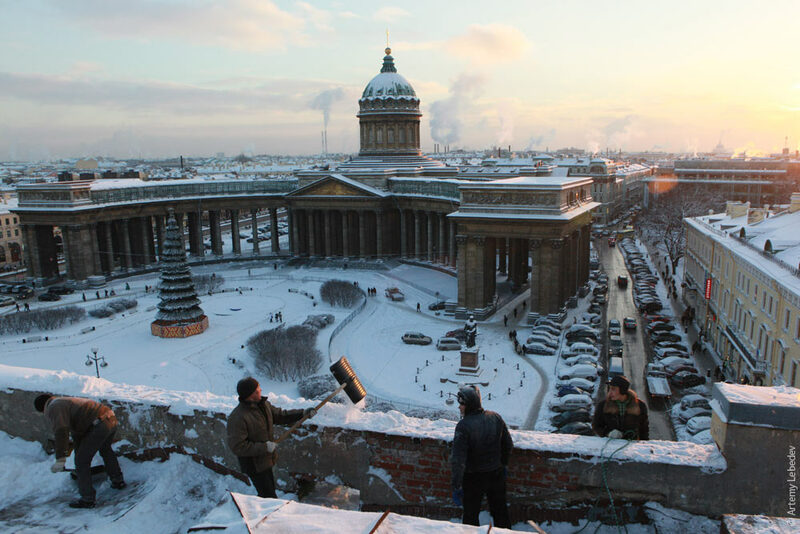 I have no idea what was wrong with the old ones (see Saint Petersburg in December 2007 or Kazan). 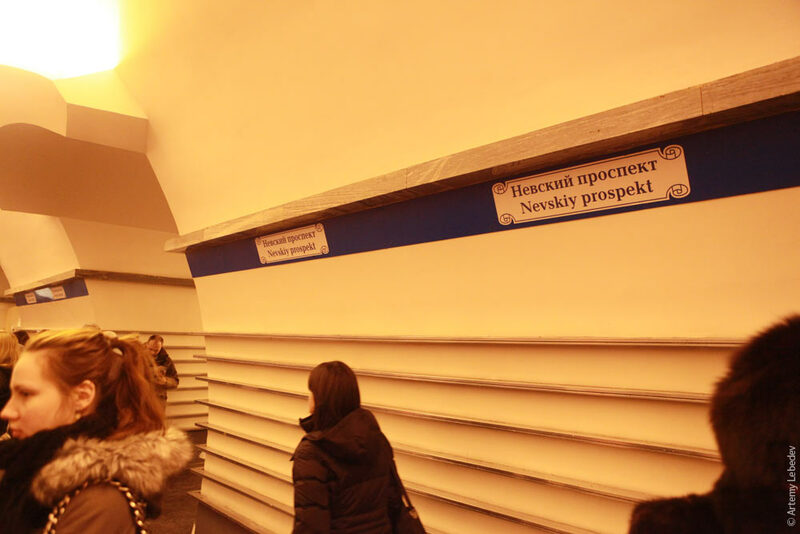 The new ones aren’t illuminated, look cheap and contain the mandatory new Saint Petersburg motif—a sort of curled paper scroll. It symbolizes history and the czar’s decree. Такой же графический мотив — в метро. The same graphic motif can be seen in the subway. Кстати, о метро. Тут его изгадили основательно и с настойчивостью. 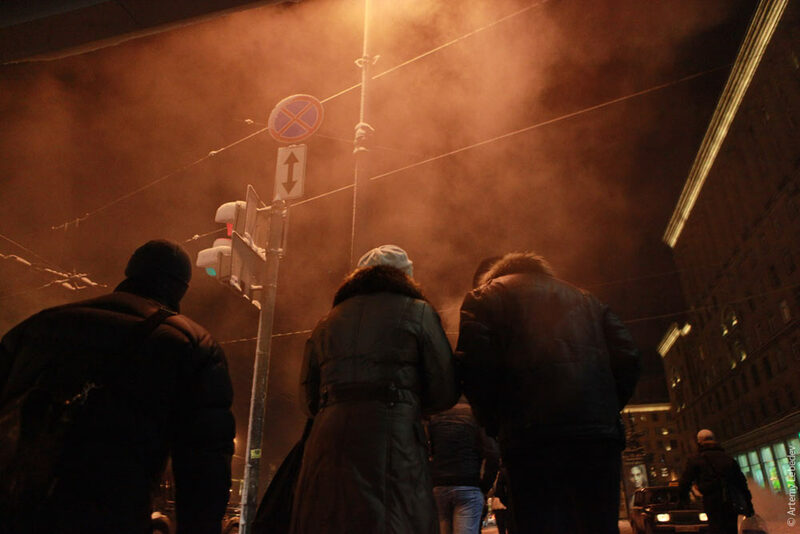 В Питере всего пять линий, сложно в них запутаться. Но авторам новой метронавигации это удалось. Speaking of the subway—it’s been defiled thoroughly and persistently. 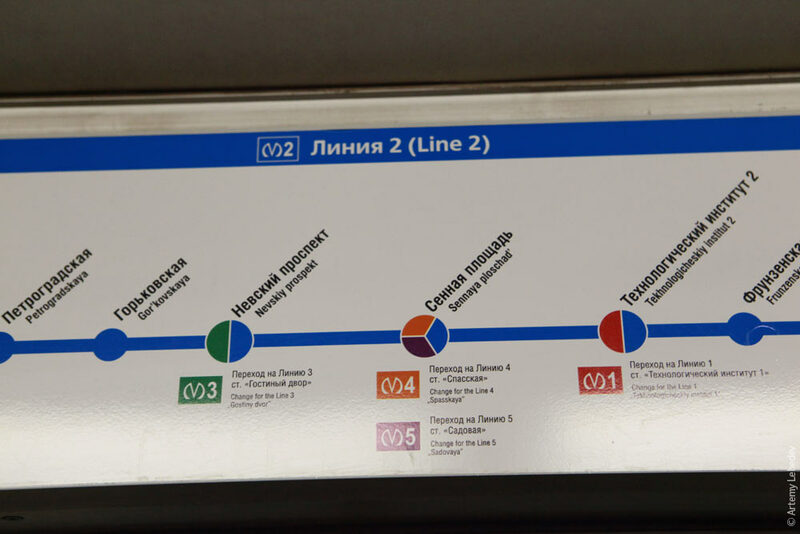 There are only five subway lines in Saint Petersburg, so it’s really hard to get confused. 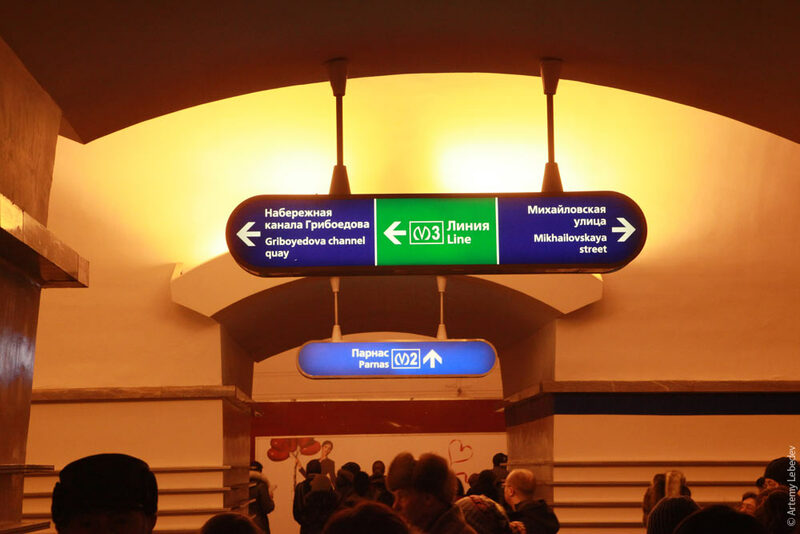 But the creators of the new subway navigation system have managed to achieve just that. Во раньше как выглядела схема — нарисована одна линия, а на ней сразу понятно отмечены все переходы на все остальные линии. Пальцем можно от любой станции до любой проследить. This is what the diagram used to look like: one line is displayed, and all the transfers to all the other lines are clearly marked right there on it. You can trace the route between any two stations with your finger. А сегодня так нельзя, нужно по-современному. 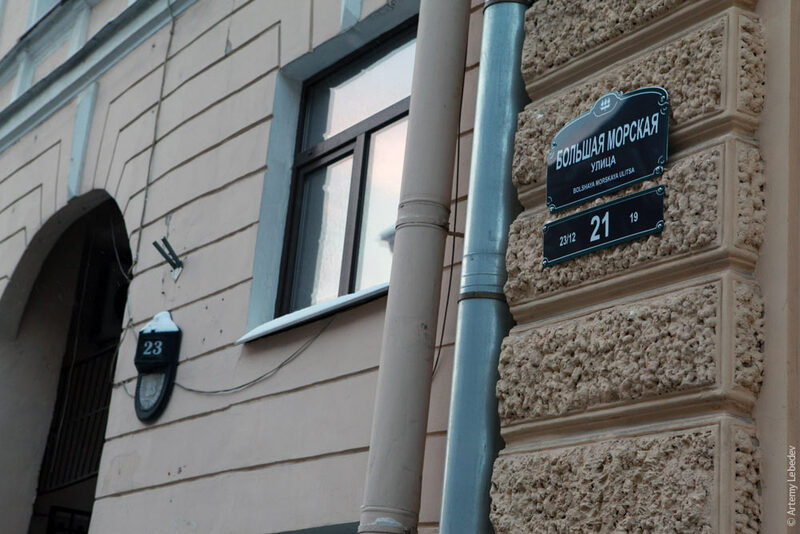 Сверху на синей полосочке для дебилов три раза написано «2». А вместо понятных переходов пассажир должен теперь наблюдать цвет сектора и изучать легенду в квадратиках с номерами и постоянно повторяющимся логотипом метро. But now you can’t do that anymore, because everything has to be done the modern way. “2” is written three times on the blue bar at the top for morons. 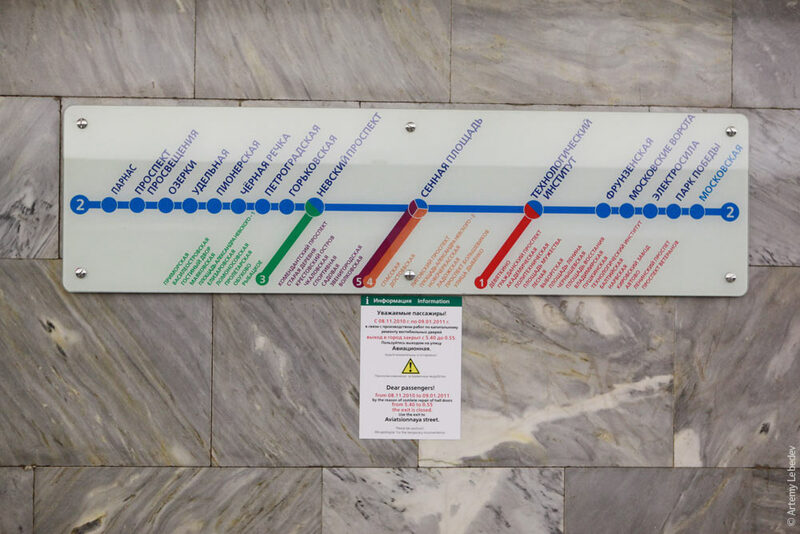 And instead of the clearly indicated transfers, the passenger now has to note the color of the sector and study the legend consisting of boxes with numbers and the subway logo repeated everywhere. Первый раз в жизни я, ориентируясь на навигацию, сел в поезд, идущий не в том направлении. For the first time in my life, I got onto a train going the wrong way as a result of following the navigation system.